The second thrilling installment in Richelle Mead’s Vampire Academy spinoff series. I really love the Vampire Academy series! I just finished Bloodlines today, and I can't wait to read the next book! 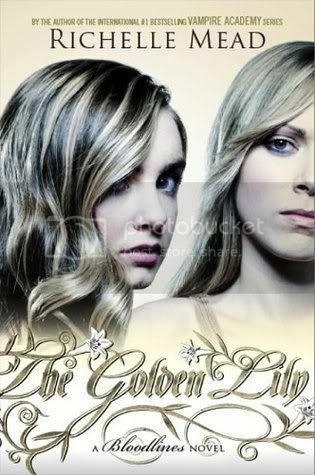 I love the name The Golden Lily. I'm not WoWing this week, but I am wrapping up a giveaway in case you want to check it out! Ahh this makes me want to read the Vampire Academy series! And what a gorgeous cover! I love the font they used for the title. Your lucky you got to read it before it comes out later this month. I'm just hoping it is as good as everyone says, and I'm not disappointed. So excited for this. Wish Richelle would just give us the whole series right now LOL. I just ordered Bloodlines and I'm sure I'll love it. Mead is one of my favorite authors. Great pick! I am making my way through the VA series right now, and I am loving it. I am excited to read Bloodlines once I am finished! So can't wait for this one either! Still pining for Bloodlines though! Book 1 must be great if you are already pining for book 2! To tell you the truth, none of the Seekers have read the Vampire Academy series, and we really want to now after seeing Bloodlines and the crazed over the series. I feel like we missed out on a big celebration. But it's never to late to get into the series. Great WoW :). I'm so excited for Bloodlines! 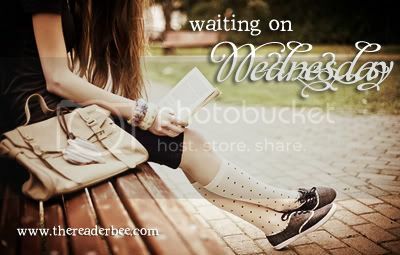 I cannot wait to read it, I have such high hopes and everyone that's read it seems to be in love with which is a good sign:) I'm sure I'll be waiting on this one too the moment I finish Bloodlines! I still have to read Bloodlines! I had it pre-ordered from Borders and they just cancelled it a few days ago so I need to order it from somewhere else :( I loved Vamp Academy as well! I've not read Vampire Academy so I can't share in your excitement with this one. Maybe I should get on that huh? I really should read Vampire Academy. I have no clue why I haven't!! I do love these covers. So pretty! I need to read book 1 but I am adding this to my wish list too! I'm so excited for Bloodlines! I can't wait to read it!